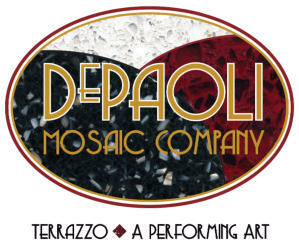 The DePaoli Mosaic Company is now a WBE/DBE certified company in the state of Massachusetts. Installing terrazzo throughout New England, we offer technical expertise and superior craftsmanship for jobs of all sizes. DePaoli has been New England’s Premier Terrazzo company since 1890. Read more about our company’s rich 125 year history.